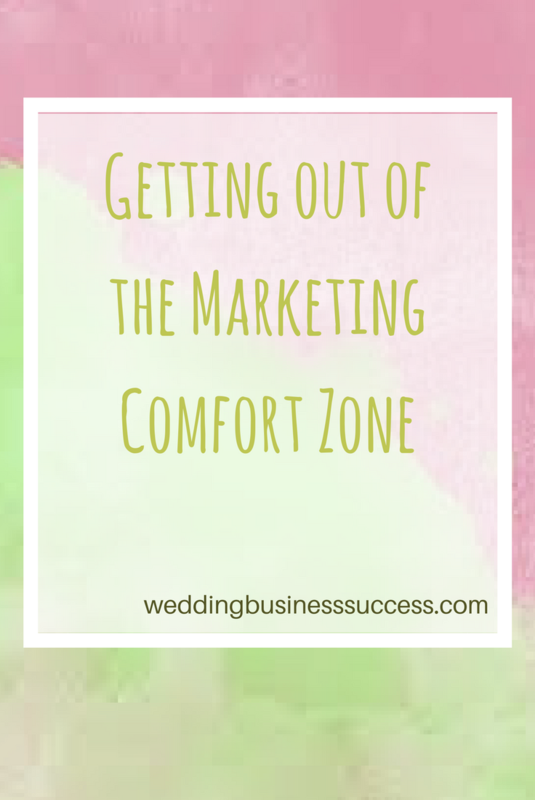 Are you in the marketing comfort zone? Are you spending too much time on the marketing that’s easy rather than the marketing that’s effective? My first wedding business was a bouquet preservation franchise. It was also my first business after a career in corporate IT – quite a change! My marketing consisted of 3 things – advertising in Yellow Pages (who remembers that? ), doing the local wedding fair and going round local florists & wedding planners, showing them examples of my work and asking them to refer me. Guess which one was hardest? And guess which brought the best results? I’m naturally introverted so walking into a strange shop and promoting myself was agony. But I kept at it and gradually built up a network of other wedding suppliers who knew my work and would recommend me. It took time, persistence and a lot of self motivation to get me out there. I took myself way out of my comfort zone. And it’s not just comfort zones we need to beware of. It’s all too easy to do the easy things rather than those that will really make a difference. When we start out in business, everything feels challenging and there is no comfort zone. But as we grow and become practised we get into a routine and continue doing the same things that worked 3 years ago. Things we feel comfortable doing. Like renewing that advert in the local wedding directory or taking a stand at the same wedding fair every year. Then there are the things that are easy to do. They don’t take long/cost anything so we might as well do them. I see this all the time on Social Media. Wedding businesses who can’t be bothered to really understand how social media marketing works and simply bombard Facebook and Twitter with sales messages. And then there are the things that seem too difficult, so we just avoid them – even though they could be a fantastic opportunity for our business. 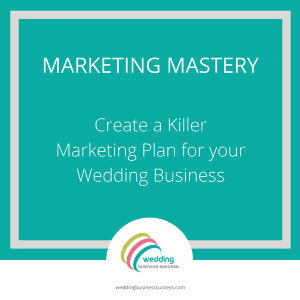 Things like search optimisation, networking and going out and visiting other wedding suppliers. Take a fresh look at your marketing activities. All of them. How many of them are actually bringing you business? If something isn’t working, it doesn’t matter how cheap or easy it is – stop it. Put your budget and effort into something else. Now think about all the other things you could be doing. Is there something you know you should be doing to promote your business? But that you’re a bit scared to try? Or keep putting off because you don’t know where to start? Make a commitment today to do something about it – and take that first step. It could be booking to go on a networking event, downloading a guide to SEO, putting together a portfolio of samples to show people.